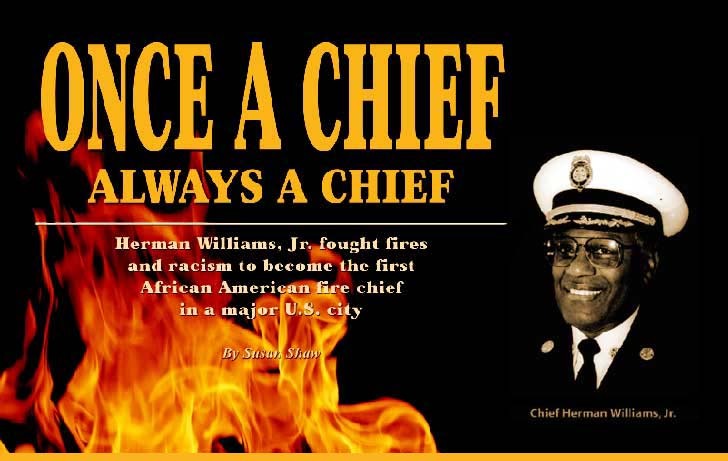 Home > Articles > Profiles > Once a Chief, Always a Chief: Herman Williams, Jr.
Once a Chief, Always a Chief: Herman Williams, Jr. Appreciation for firefighters in America is at an all time high, since hundreds rushed up the staircases at the World Trade Center to save lives, not knowing they were about to lose theirs. However, in 1954, racism was so red hot that America’s first Black firefighters were not just unappreciated, their fellow firefighters refused speak to them, and wouldn’t even eat food off the same plates. Herman Williams, Jr., one of the first Black firefighters in the city of Baltimore, not only kept his cool, he rose steadily through the ranks to become the first African American fire chief in a major U.S. city. Over a career spanning almost 50 years, Chief Williams’ many accomplishments included reducing the number of fires in the city by more than half in 1999, and taking part in forming the Vulcan Blazers, the first association of African American firefighters. Williams is married to his high school sweetheart Marjorie, and is the father of four successful children-Clolita, Marjorie, Herman and television talk show host, Montel. He retired from the department last year. Documented in the book Firefighter, scheduled to be released by Hay House in February 2002, the fascinating account of William’s career gives a detailed description of life in a time when segregation and racism could make blood boil. “America was a different world in the 50’s,” Williams says. It certainly was. Job opportunities for Black men were limited to menial labor and janitorial duties, and just getting hired required not only superhuman perseverance, but the backing of the Urban League and sometimes, a trick or two. 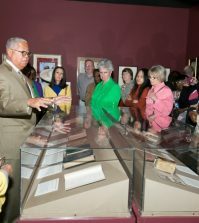 Williams once pretended to be Cuban, a feat that allowed him to cut through racial barriers and be hired as a leather cutter, but was fired when his employer discovered his actual ethnicity. The chief was never discouraged. “My father instilled in me that you’ve got to work and earn your living. No one is going to give you anything,” Chief Williams says. The Baltimore Urban League opened doors of opportunity, but the fight was long and hard. After the Urban League broke through the color line in public transportation, Williams spied his friend David driving a trackless trolley and knew immediately he wanted to be a driver. Being at the helm of the picturesque streetcar—ten tons of moving machinery carrying up to 80 passengers—was a dangerous undertaking wrought with unusual stresses. Shocked white passengers refused to ride with a Black driver, the car could slide a half-mile on wet leaves, and in an act of racist terrorism, a cement block was hurled at Williams, denting the streetcar. The fight for Black firefighters had already been going on for twenty years and by 1947, fourteen Black men had passed the civil service exam, but the Fire Board stubbornly refused to hire them. The resistance continued and included tactics like returning failing test scores to men who knew that an accurate assessment of their tests would show they had passed. In 1953-54, Williams was among the first group of Blacks to actually enter the department. Taking a drastic pay cut, Williams believed the sacrifice was well worth the opportunity to take part in the historic effort. Initially, Williams’ fellow firefighters completely ignored him at the firehouse. “I would go to work and no one would talk to me,” Williams says. “I wasn’t allowed to sit at the table and eat with them. If I wanted to eat I had to bring my own pots and pans.” However, once the bell rang and the firemen were summoned to a call, the cold shoulder policy, and the wall of racism, was instantly dropped. “I was just a firefighter,” Williams says, explaining how the crew worked together smoothly to face any emergency. “But once we were back in the engine house it was the same old thing.” Williams says he coped by putting it out of his mind and bringing in books to fill the silent hours. However, he feels that overcoming the race barrier was his biggest challenge during his career with the department. “The hardest thing was just being cool and not letting the abuse get me to the point that I would turn to violence,” he says. “It was hard to understand how they could be so cruel, and then once a year go off to a religious retreat,” Williams says. “But then they would come back to the fire house with the same evil ways.” Firefighters once wrapped an oily rag around the tailpipe of Williams’ car, attempting to set it on fire. He was ordered to enter a burning barn without protective equipment, and his supervisor tore up his vacation requests. Members of the public were equally cruel. When Williams attempted to perform first aid on a boy with a gruesome fracture, the boy screamed nasty racial slurs. However, Williams seems to hold no continuing animosity. He says that people have learned to cope with prejudice, to live with others, and to simply do the right thing. “You know the cliché,” he says. “Some of my best friends today are white.”Williams says that when females were first admitted to the department, their treatment was similar. “No one wanted them,” he says. However, his admiration for women is apparent. “I’ve been on large fires as chief and I’ve seen females, small in stature, and wondered, ‘How in the world could she hold that hose?’ But when that bell goes off they are right there.”Kurt L. Schmoke, who served three terms as Baltimore’s first African American mayor, says, “It was a joy to work with him. He has a great sense of humor. He’s a consummate professional. 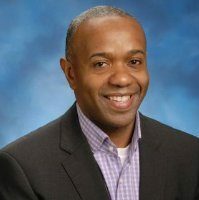 It was a great source of pride for me to be able to appoint him.” Schmoke says that Williams was known for his tremendous knowledge of the department, and for continuously implementing creative ideas to improve it. 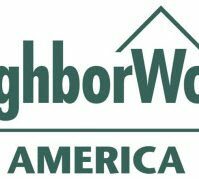 “He helped raise the consciousness of the community about fire safety and what individuals could do to make themselves and their family safe,” Schmoke says. “That was of particular importance for inner city communities, where people live close together and the possibility of fire is greater.” Williams continually purchased new equipment to increase the department’s effectiveness, and in 1999, organized a giveaway of 70,000 smoke detectors, efforts that led directly to decreases in fires and saved lives. Williams III’s sculptures are in demand by corporations and individuals. “There’s something about the wire sculptures that people immediately love,” he says. Although his artist’s existence has been somewhat circuitous, but his drive to sell his work pays off. He says that he once lived in an ashram without a dollar to his name. One day, he borrowed the temple car and made cold calls. “By the time I got to the end of one street, I’d sold a piece for $300 and commissioned a id=”mce_marker”,600 mural,” he says.